This Versailles look-alike was constructed in 1909 as an imperial residence, but is now used as a guesthouse for visiting dignitaries. 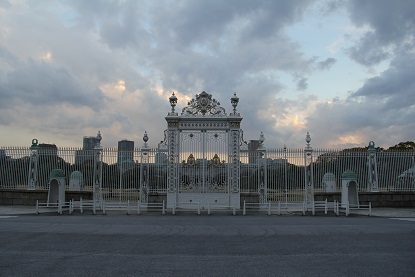 The ornately designed iron gate out front is as close as tourists are allowed, but it is still close enough to breathe in the lavishness of that bygone era. The palace, for example, has 15,000 square meters of floor space. The Showa Emperor once resided here when he was crown prince.